I recently got some of the new Stampin Up goodies. I knew as soon as I saw it I would be purchasing the Magical Day set. My family (mostly my husband) is all about the dragons, wizards, and knights. My daughter loves unicorns and who can say something bad about a sweet little mermaid? 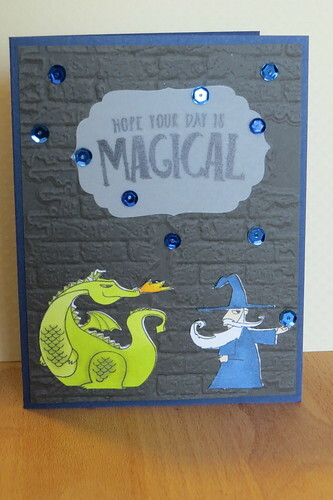 The first card I made with this set uses the dragon and the wizard. I made a dark purple and a navy version. I embossed a charcoal gray cardstock with a Tim Holtz brick folder. I really like how this folder has unexpected cracks and uneven bricks. 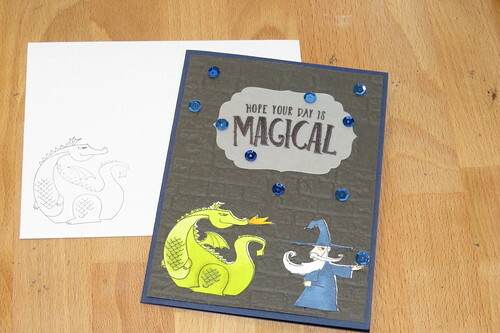 Then I stamped the dragon and wizard, colored them, and ran them through the scan n cut. I stamped the sentiment on vellum and cut it with a spell binder frame. 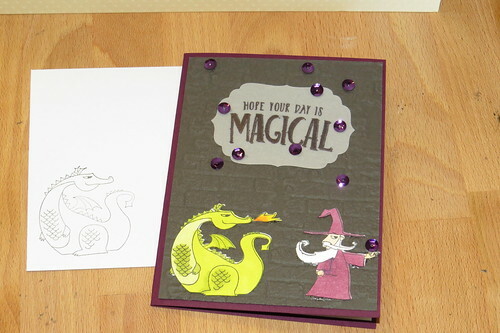 Then I added some flames from the dragon and sequins from the wizard. 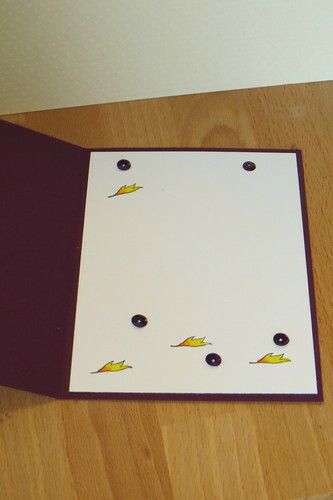 The inside is finished with some more flames and sequins. I coordinated the envelope with a dragon.